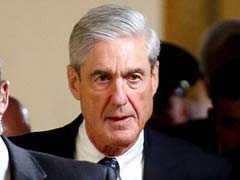 The declassified Republican document released Friday claimed that Democratic-funded research prompted the FBI to spy on a former Trump campaign aide. 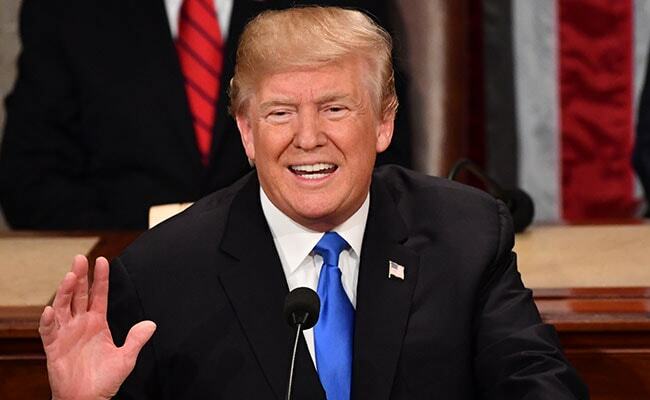 US President Donald Trump claimed vindication Saturday in the probe into Russian interference with the 2016 White House election, following the release of a controversial memo implying partisanship at the Federal Bureau of Investigation. "This memo totally vindicates 'Trump' in probe," the president tweeted, referring to himself in the third person. "But the Russian Witch Hunt goes on and on," he said, continuing with a misspelling: "Their was no Collusion and there was no Obstruction (the word now used because, after one year of looking endlessly and finding NOTHING, collusion is dead). This is an American disgrace!" In the evening, Trump tweeted: "Great jobs numbers and finally, after many years, rising wages -- and nobody even talks about them. Only Russia, Russia, Russia, despite the fact that, after a year of looking, there is No Collusion!" Democrats and some Republicans say the memo -- drafted by Devin Nunes, a Trump transition official, congressman and House Intelligence Committee chairman -- is a thinly veiled effort to undermine Special Counsel Robert Mueller's investigation into the Trump campaign's alleged ties with Russia, and possible obstruction of justice. The document has glaring holes, detractors say, and the FBI itself said it had "grave concerns" over its accuracy. Adam Schiff, senior Democratic member on the House Intelligence Committee, countered Trump's claims of vindication. "Quite the opposite, Mr President," Schiff said in a tweet. "The most important fact disclosed in this otherwise shoddy memo was that FBI investigation began July 2016 with your advisor, Papadopoulos, who was secretly discussing stolen Clinton emails with the Russians." He was referring to George Papadopoulos, a former Trump campaign foreign policy adviser, who was charged by Mueller's team and pleaded guilty to lying over his Russian contacts. Trey Gowdy, a Republican lawmaker who this week said he would not seek reelection, told CBS' Face the Nation the president was off the mark. "I'm sure the president is frustrated," Gowdy said, but he added that he doesn't think the memo "has any impact on the Russia probe." Gowdy noted that he himself helped draft the memo but said that, even without the Democratic-funded dossier it refers to, there would still be an investigation of other alleged links to Russia. The memo "also doesn't have anything to do with obstruction of justice," he added. "So there's going to be a Russia probe, even without a dossier," Gowdy said. Separately, Trump -- who is spending the weekend at his Florida resort -- crowed on Twitter about his approval ratings. Rasmussen pollsters "just announced that my approval rating jumped to 49%, a far better number than I had in winning the Election, and higher than certain 'sacred cows.' Other Trump polls are way up also. So why does the media refuse to write this? Oh well, someday!" It was unclear which "sacred cows" Trump was referring to. Trump's job approval rating is 41.9 percent, according to the Real Clear Politics average of various polls.